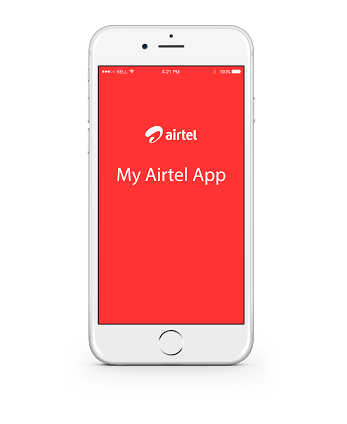 My Airtel App – Get upto Rs 75 Cashback on Airtel Prepaid Recharge & Bill Payments. My Airtel App is back again with New Offer for Airtel users where you have chance to Get upto Rs 75 Cashback on your Airtel Prepaid Recharge or Bill payments. Minimum Assured Cashback is Rs 20 and Max Cashback is Rs 100. Offer valid till until its Showing on My Airtel App HomePage !! How to Get upto Rs 75 Cashback on Recharge at My Airtel App ? 4) Initiate a Airtel Prepaid Recharge or Bill Payment. 8) Hurray! You will get upto Rs 75 Cashback in your Airtel Wallet within 2 working days. Enjoy. 1) The offer is applicable only when the transaction is done through Airtel Payments Bank Savings Account/Airtel money wallet on Myairtel app, Airtel website, USSD. 2) Customer can avail flat 5% Cashback on Airtel Prepaid recharges and bill payments of value less than Rs 100. And Up to Rs.75 Cashback on all Airtel recharges and bill payments (Mobile Prepaid, Mobile Postpaid, DTH, Broadband/Landline) that are of Rs.100 or above (Min. Assured Cashback of Rs.20. Every 100th user gets Rs.75 cashback). 3) User can avail Cashback on a max. Of 6 transactions during the offer period. 4) Cashback will be credited to Airtel Payments Bank wallet or savings account within 3 working days of the transaction. 6) This offer is not live on the Master Card. 7) Airtel Payments Bank reserves the right to disqualify any Airtel Payments Bank savings account holder(s) or wallet holder(s) from the benefits of this offer in case of any fraudulent activity/suspicious transactions. 8) Airtel Payments Bank reserves the right to modify/change all or any of the terms applicable to this offer without assigning any reasons or without any prior intimation whatsoever. 9) Airtel Payments Bank also reserves the right to discontinue this offer without assigning any reasons or without any prior intimation whatsoever. 10) In case of any disputes, Airtel Payments Bank’s decision will be final. In addition to the above, this offer is also subject to Airtel Payments Bank General Terms & Conditions available on http://www.airtel.in/bank/terms.